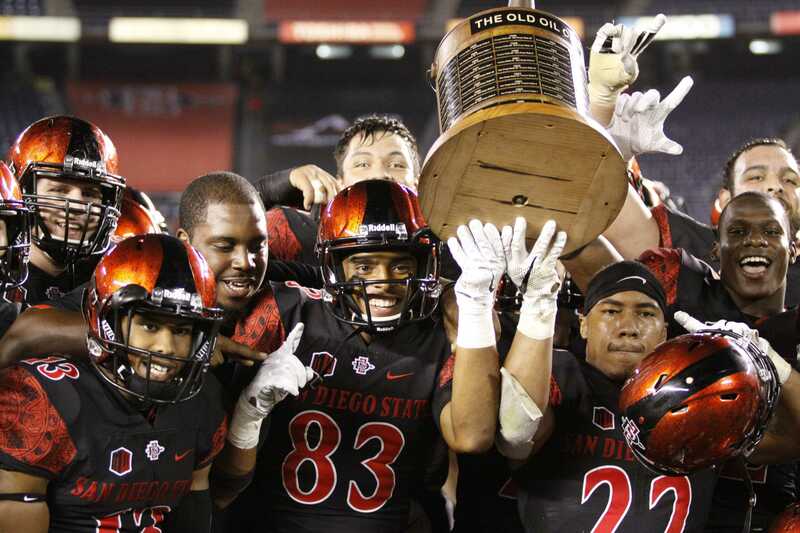 The “Oil Can” is returning to San Diego soil, as the San Diego State Aztecs defeated the Fresno State Bulldogs 21-7 Saturday night. 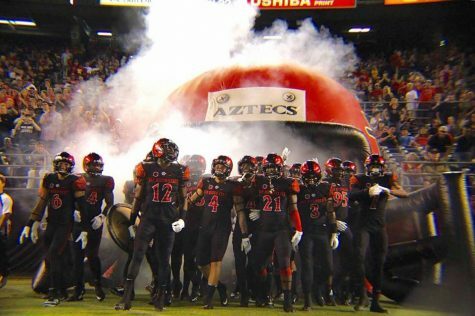 The Aztecs weren’t going to be denied their first win in almost a month as the defense muzzled the visiting Bulldogs all night and the offense did just enough to hand Fresno State head coach Tim DeRuyter his first loss to SDSU. This was a game that appeared more of a flashback to the early days of this rivalry as SDSU won behind a heavy dose of the running game and a staunch defensive effort. Offensive coordinator Jeff Horton was not bashful tipping his hand early, opening the game with 17 straight rushing attempts, and often — the Aztecs ended with 60 attempts on the ground compared to 12 passing plays. But at the end of the day the win is all that matters. 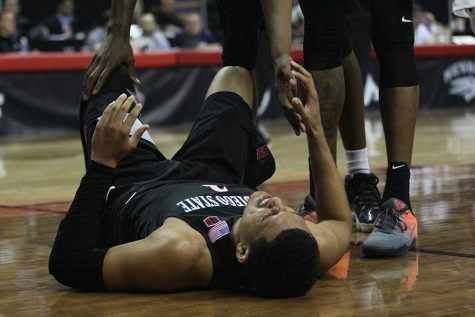 This win, though, doesn’t overshadow the injury to junior running back Donnel Pumphrey, who went down with an apparent ankle injury in the third quarter. 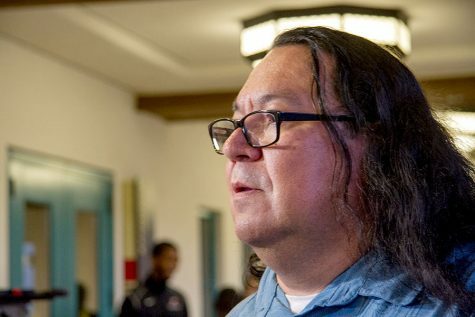 To that point, the star back had 124 yards rushing — a season high — on 23 carries and the lone touchdown for the Aztecs. 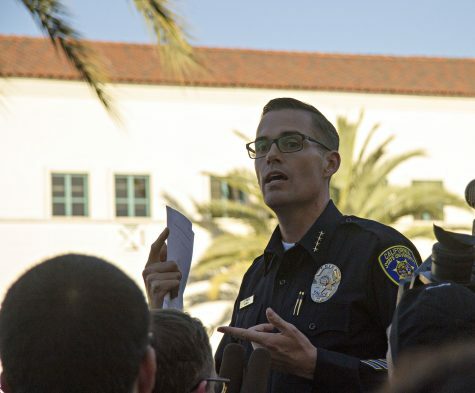 Fortunately for Pumphrey and his team the scare was worse than the news. But as the saying goes, it’s “next man up,” and the backup running backs responded. Smith connected with sophomore running back Rashaad Penny on the very next play for a 33-yard touchdown pass to put SDSU up 14-7. Two drives later, senior running back Chase Price would shoulder the rushing load and carry eight straight times to open the possession for 43 yards that resulted in a 44-yard touchdown pass from Smith to junior wide receiver Eric Judge. Price finished the night with his best Pumphrey impersonation as he had 27 carries for 151 yards. But the true star of the night was the SDSU defense that held the Bulldogs to 89 total yards on the night. The Aztecs bullied the Fresno State offense to season lows in nearly every statistical category, including nine three-and-outs. The front six made their presence felt early and often and harassed the Bulldogs’ backfield. Of the 47 plays Fresno State ran, nine went for negative yardage. But with a defensive effort as dominating as this, the game plan plays a huge role. This game, however, was far closer than the final score indicated. 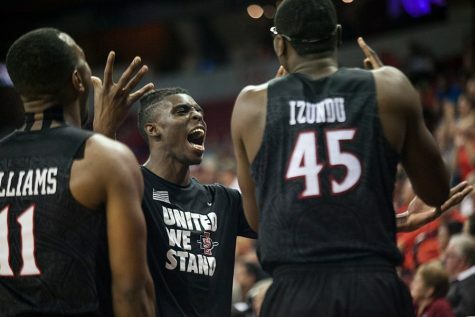 The first half narrative read similarly to past games for the Aztecs: offensive woes and second quarter miscues. 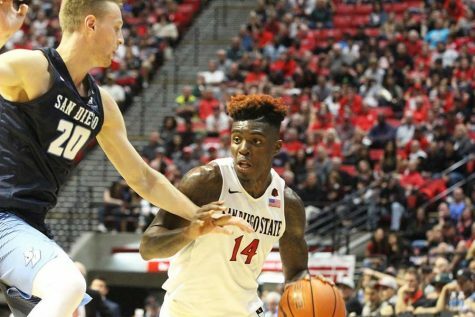 After SDSU opened the game catching the Bulldogs’ defense on their hind legs, Fresno State bit back and shut down SDSU’s offense in the second quarter. 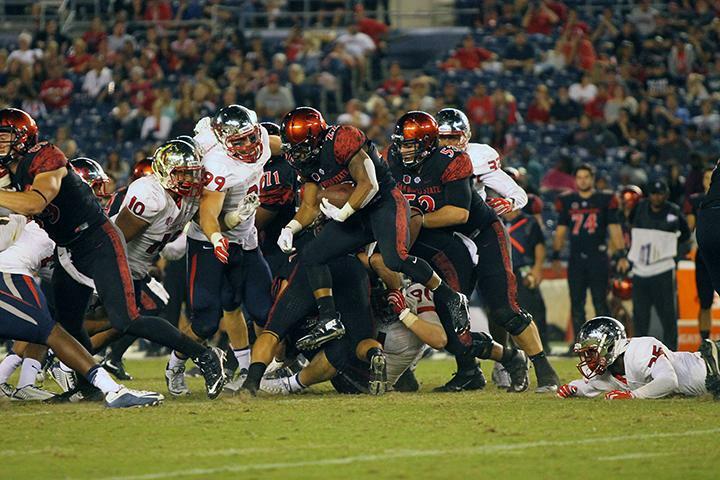 The Aztecs opened the quarter with three straight three-and-outs and only tallied a single first down. Early in the second quarter the SDSU defense was caught off guard as well, as they had to march back onto the field after junior punt returner Lloyd Mills muffed his second punt of the season. Bulldogs senior quarterback Zach Greenlee quickly found redshirt-freshman KeeSean Johnson in the back of the end zone. 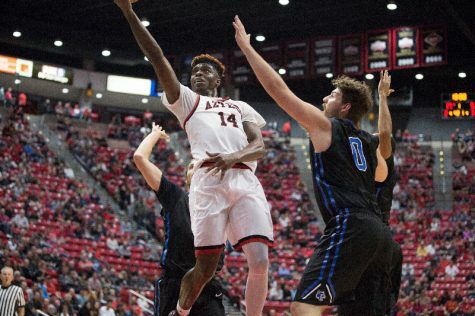 The turnover continued the imploding trend the Aztecs have demonstrated in their last three games and it appeared this contest was heading down a similar path. Despite the lone touchdown, SDSU’s defense played every bit the bully as its counterpart and held the Bulldogs to 67 total yards in the half. More importantly, it did not allow Fresno State to convert a single third down attempt in the half. 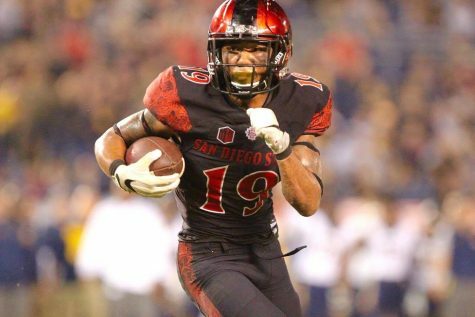 The Aztecs opened the match exclusively on the ground with 10 straight rushes on their first drive capped off by a 33-yard touchdown by Pumphrey. Pumphrey’s touchdown run came only one play after senior fullback Dakota Gordon bulldozed his way for two yards on a fourth-and-one. SDSU’s secondary eventually stymied Greenlee to three straight incompletions to end the Bulldogs’ first drive, which converted on their own fourth-and-one during their first possession. 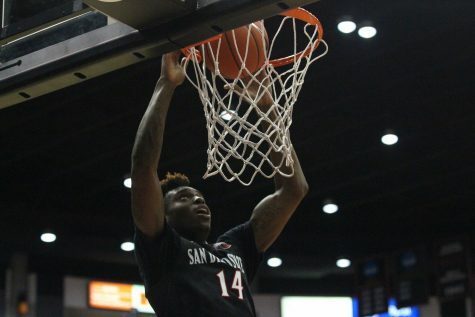 This win marks SDSU’s first win over the Bulldogs in four years and gets the Aztecs on the right foot in conference play.